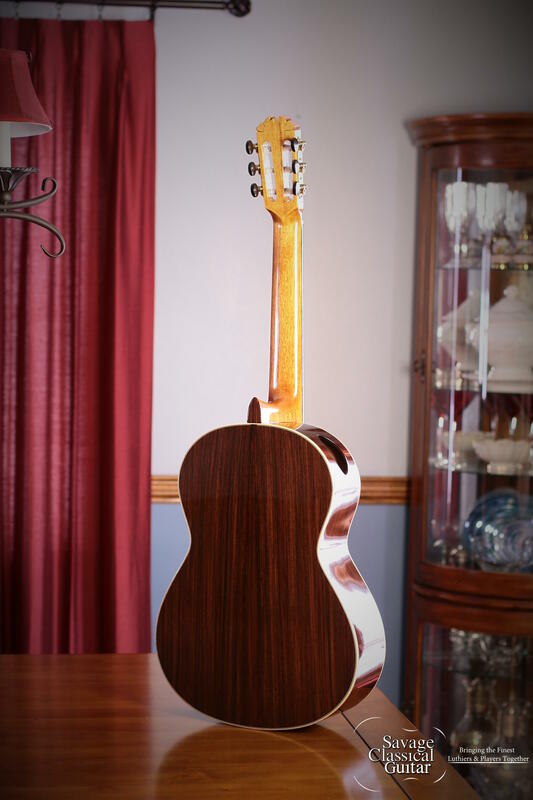 Since 1994 I have specialized in building concert quality Classical guitars, using the absolute finest materials possible, to make instruments that have robust projection while maintaining a beautiful, versatile voice. The aesthetic of my guitars is rooted in the Spanish tradition. However my bracing patterns and the other elements that control the sound, have evolved and are distinctly my own. I love my work and strive to create inspired instruments which allow the player to enjoy a beautiful musical experience and have ample projection for the concert hall. I have been thrilled with how well my instruments have been received by the guitar community and am proud to have many of the finest classical guitarists playing my guitars. I build approx. 18 instruments a year, at my workshop on Cape Cod, Massachusetts. 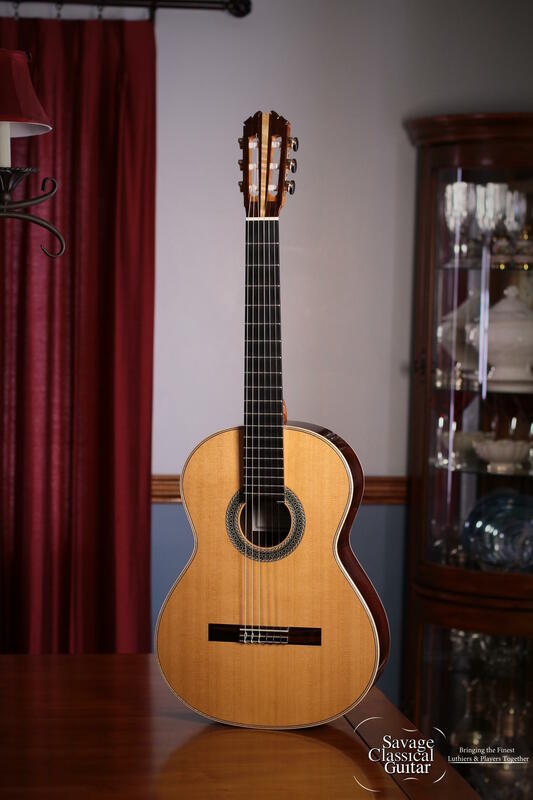 Classical guitars have evolved over hundreds of years. Improving the performance of the classical guitar to satisfy the musician is something that I firmly believe in. This may be carried out in many ways from using new materials and patterns in soundboard bracing, or in trying new things such as the sound portal- respecting tradition while innovating. The sound portal is something that I have been experimenting with for years, the prototype developed in the 90’s. 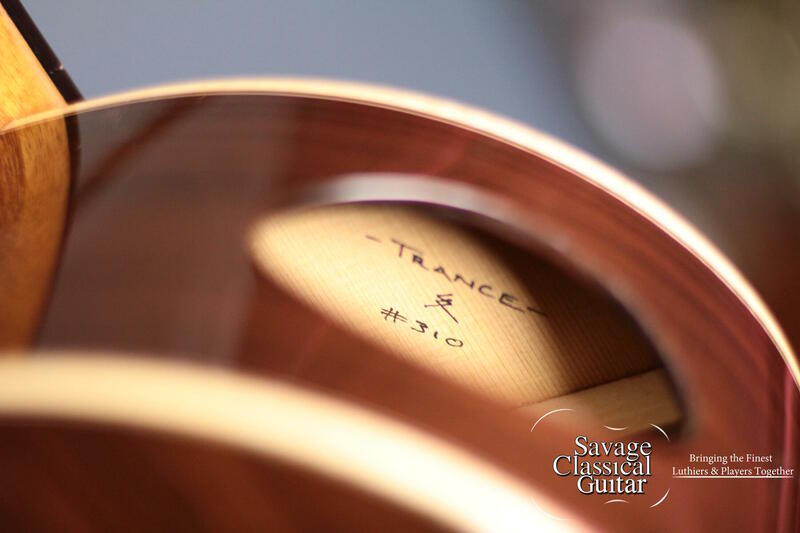 It consists of an elliptical opening in the side of the guitar facing the player which increases the volume of the instrument to both the player and the audience by reducing the cancellation of sound waves making the instrument more efficient. It can be closed, partially or fully, with a door that is held on using magnets. Closing the portal can be advantageous during duets with a quieter instrument. The bracing patterns developed in tandem with the portal feature interlocking braces of the highest quality-bracing stock. This system creates a guitar that is exciting to play, extremely RESPONSIVE, with amazing volume and all the tonal colors found in the finest traditional guitars. Immediately upon opening #310 up, I was enthralled. The power of this Cedar is amazing. Her clarity and response superb. Lyrical and expressive. His reputation is well deserved. Steve is humble, talented, and gifted with the ability to give the classical guitarist what they want, what they need. It’s an honor to represent Stephan here in the Northeast. My inventory of Connor guitars can be found here…thanks kindly!